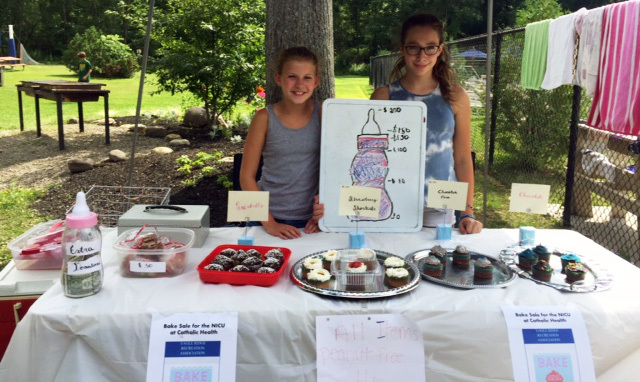 Lauren Conti and Sophia Starosielec recently baked dozens of cupcakes to raise money for the Neonatal Intensive Care Units at Catholic Health. Both girls attend Orchard Park Middle School and are on the Eagle Ridge Swim Team. 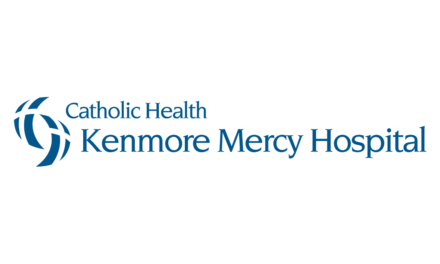 Lauren has been donating to Catholic Health NICUs for the past 5 years. This year, her friend Sophia wanted to join in the fundraising efforts. They decided to do a bake sale and contacted the manager of their swim club for help. The manager allowed the girls to host the sale at the Eagle Ridge Recreation Association in Orchard Park. Through the support of their swim club and the community, the girls sold enough baked goods to purchase a mamaROO infant seat. The mamaROO features five unique motions and various speed settings to help comfort and sooth babies. 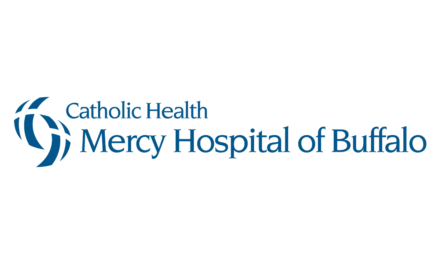 After Lauren and Sophia reached out to representatives at Mercy Hospital of Buffalo and Sisters of Charity Hospital, the organizations decided to have the donation go to the NICU at Sisters Hospital. The girls arranged a date to drop of the mamaROO to the NICU, along with several beautifully made quilts from Sophia’s grandmother, Karen Baco. The NICU staff was very grateful for their generosity, and offered Lauren and Sophia a tour of the new, state-of-the-art unit, which opened earlier this year. They explained that once the donated items were inspected and properly cleaned, they would be put to good use. This is such an incredible story of two young people taking time to give back to their community. Thank you to Lauren and Sophia and all of the people who helped them meet their goal! 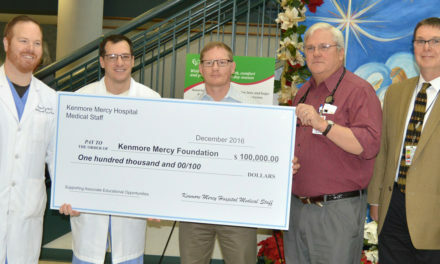 If you’re interested in learning how you can support your local hospital, visit us online at chsbuffalo.org/foundations.